Yes! You read that correctly! 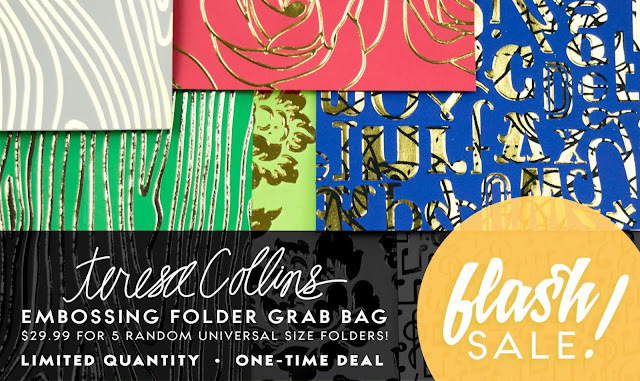 The Craftwell Flash Sale of the week is featuring large format embossing folders by Teresa Collins. Each embossing folder measures 8.5" x 12", allowing you to emboss entire sheets of cardstock for your amazing craft projects. As a reminder, 'Flash Sales' are only available as long as inventory allows. This means you have a limited time to take advantage of this incredible savings. Each 'Flash Sale' has limited quantity available as well. Once the inventory is gone, the sale is over!